When you’re in the South there are a few unspoken food rules….the tea is always sweet, everything is better fried, and BBQ is a noun, not a verb! Every town in the South thinks they have the best BBQ joint around, and Winchester is no different. 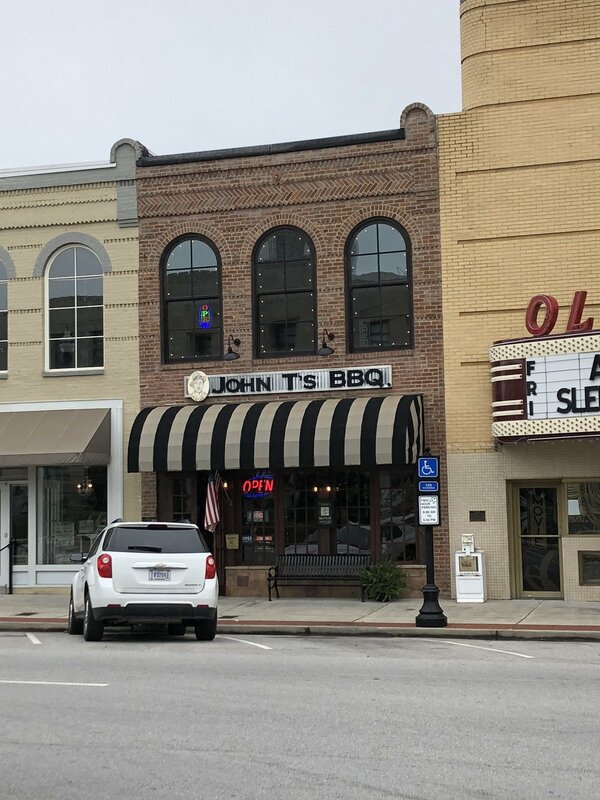 Located just a short, five minute drive from the airport, and right in the middle of the Winchester town square is John T’s BBQ. There are a couple of things you notice when you walk into this unique BBQ restaurant. The first, of course, is the wonderful smell of slow smoked BBQ. Another thing you quickly see is the unique décor. Walking into this restaurant is a lot like walking into a cute antique store. Think American Pickers....there are so many fun things to see! They also go all out decorating for different holidays throughout the year, and especially Halloween! Not only are the wall covered with different old signs and antiques, but the tables themselves are decorated with old newspaper clippings. But the décor of this place is just a bonus; the real reason to visit is the food! You can find typical BBQ selections such as ribs, brisket, pulled pork, and smoked wings and there are also salads, burgers, and fried catfish. 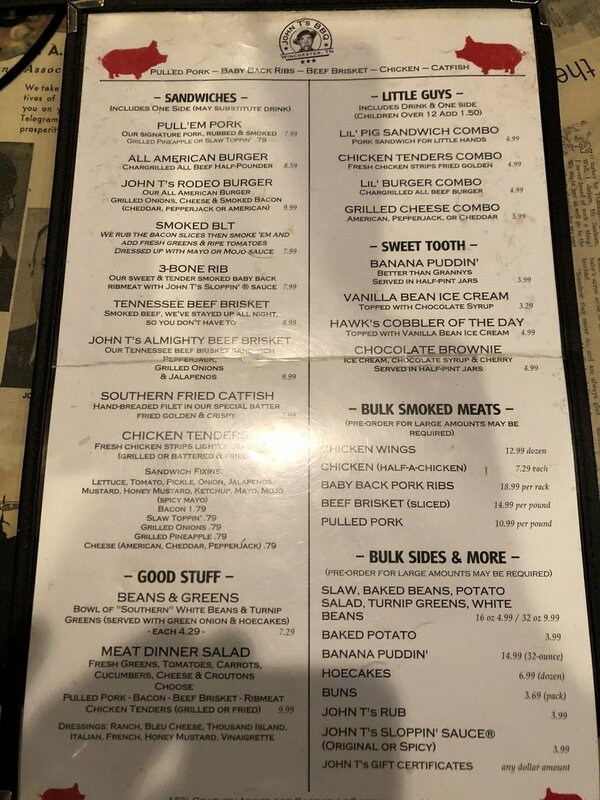 I have a few favorites on the menu including the Tennessee Tater. It’s a huge baked potato stuffed with your choice of meat (I always go with pulled pork) and topped with cheese, sour cream and BBQ sauce. Speaking of BBQ sauce, they make their own. It comes in original and spicy and don’t be surprised if you wind up buying a bottle to take home with you, it’s that good! A BBQ sandwich is always a safe bet and for a BBQ place, they serve up a pretty darn tasty hamburger. They have several options and we really enjoy the spicy buffalo chips (think tater tot meets French fry with a spicy seasoning on them) and the sweet potato fries. 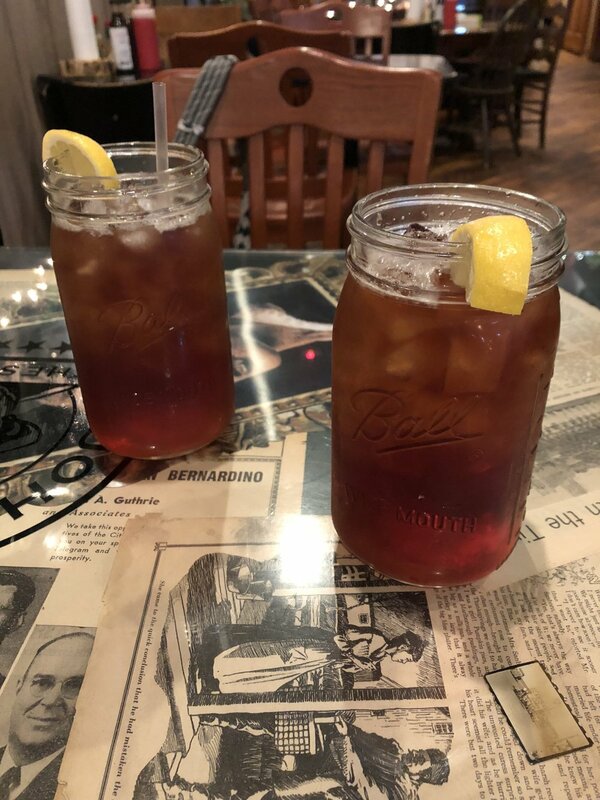 Let’s be honest, you can’t go wrong with a place that serves your sweet tea in a mason jar! 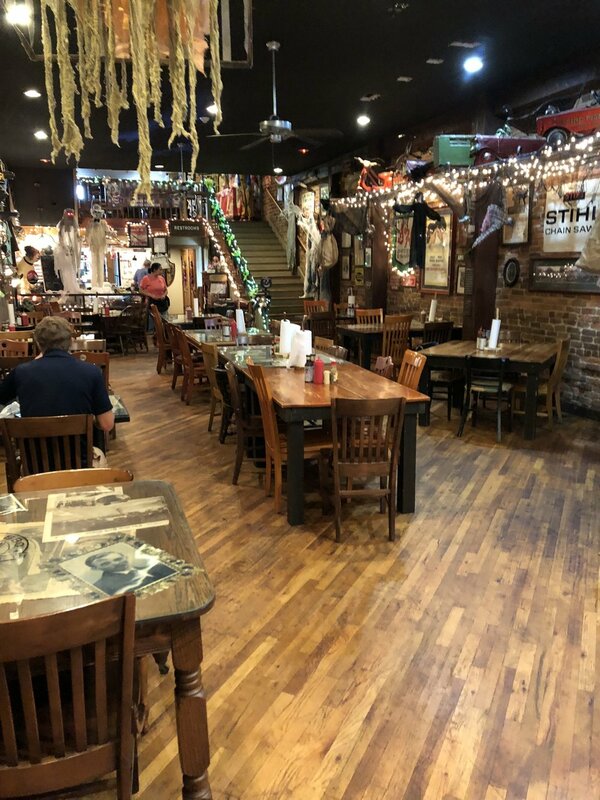 If you want to get out and fly around Middle TN, Northwest GA, or North AL and are looking for a good place to enjoy lunch, we highly recommend John T’s. Give the airport a call and they will do their best to reserve one of the two courtesy cars for you!